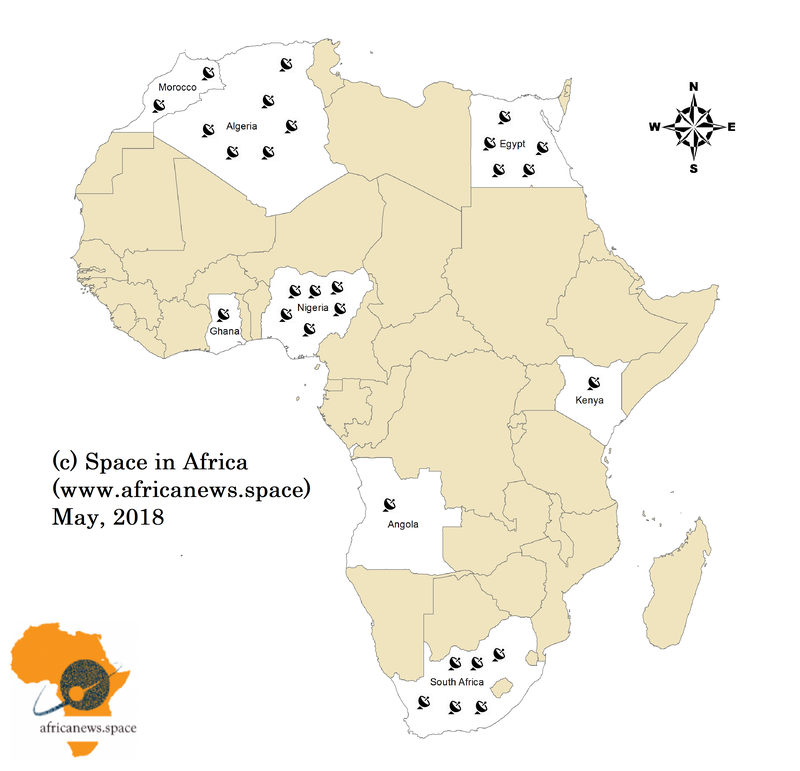 According to the Business and Market Analysis of the African Space Industry done by Space in Africa, over $3 billion have been spent on space projects in Africa since the launch of NILESAT 101 by Egypt in 1998 contrary to popular opinion that there are no Space Activities going on in Africa. All industries thrive in Africa with commercial giants trying to make a home within its lands. 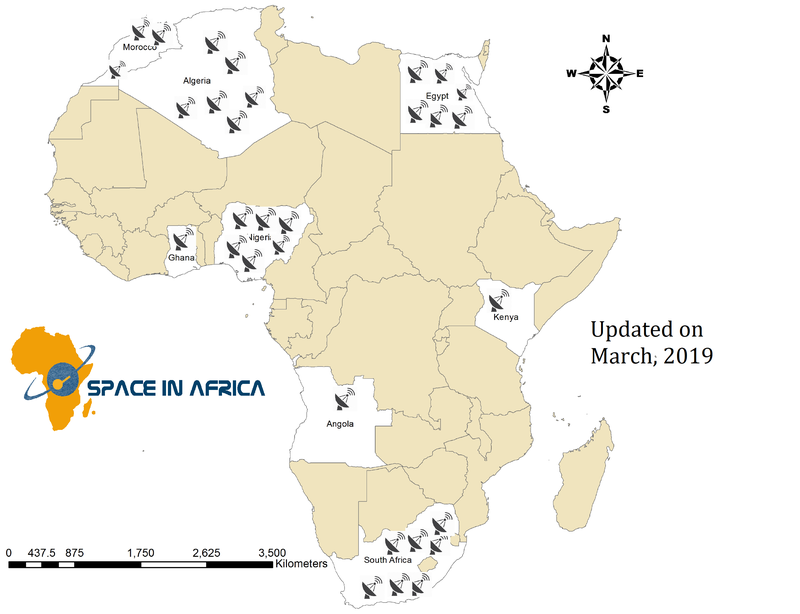 The multi billion dollar Space Industry is not exempted — according to Euroconsult, Africa has an emerging space market and the continent’s contribution to the global space cannot be overemphasized. Kenya’s first satellite which is dropped in Space today from the International Space Station makes it the 28th satellite to be launched by an African country while Mohammed VI-B launched by Morocco made it the 29th satellite and we highlight how each country feature in achieving this. A North African country with a Mediterranean coastline and a Saharan desert interior with an international reserve of $144.9 billion (Data: 2015, Source:International Monetary Fund (IMF), data retrieved January 2017). Algeria’s GDP is $178.4 billion (2017, estimate). The country is constantly in a battle of technology supremacy with Morocco. According to SciDev.Net, the Algerian space programme for 2006–20 has been allocated a budget of about $1.3 billion. So far, the country has launched 6 satellites, the latest of which was launched in 2017. Even though most people don’t count Algeria as a Space super power in Africa, they are paving way for space technologies development in the continent and have launched the same number of satellite as Nigeria and South Africa. A country in Southern Africa and is the seventh-largest country in Africa. In December 2017, Angola joined the elite number of African countries with Satellites with the launch of the AngoSat-1, a communications satellite built for almost $300 million from the Baikonur Cosmodrome in Kazakhstan with the replacement, AngoSat-2 expected to launch in 2020. The country’s economy is overwhelmingly driven by its oil sector. Oil production and its supporting activities contribute about 50% of GDP, more than 70% of government revenue, and more than 90% of the country’s exports. With a population of about 28.81 million, the Gross Domestic Product (GDP) of Angola was worth 89.63 billion US dollars in 2016 representing 0.14 percent of the world economy (Source: World Bank). Angola has one of the top 3 economies in Africa alongside Nigeria and South Africa. A country on the southernmost tip of the African continent with a population of 55.91 million (2016) and GDP of 294.8 billion USD (2016) (Source: World Bank) and constantly competing with Nigeria as the biggest economy in Africa. South Africa have spent over $200 million on Satellite project and have established itself as a top notch in the Space Industry championing Astronomy research. The Department of Science and Technology (DST) budget this financial year has modestly increased to R7,79 billion ($634 million). The allocation will be used to address transformation, through key research, development and support initiatives with the South African Space Agency to receive $11 million and the SKA project $178 million. South Africa will launch ZACUBE-2, the Nation’s 7th satellite in July. Twenty years after the first sojourn to space, the industry has progressed, with billions of dollars invested and about 28 satellites launched by eight nations. The space industry contributes to the objectives of the continent for smart, sustainable, and inclusive growth. It drives scientific progress and boosts growth and employment in other areas such as telecommunications, navigation, and Earth observation (EO). These systems and services guarantee independence and security while helping to address major societal challenges that include climate change, scarce resources, health and an aging population. Africa has decided to take charge of her space matters. Collaborations are important to build the next big technology in the industry and maximize it for the sustainable development of the region. As the second largest continent in the world, Africa offers huge market potential — the continent is open for commercial start-ups to maximize their profits with investments in the African space industry. In moving forward the African Space Industry, the establishment of an African Space Agency could be a way forward. 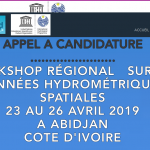 Kindly take part in our poll on who you think should host the African Space Agency (scroll down to access poll/Check the widgets on the right to access the poll if you are on a Computer).